What Makes Lakadong the Best? If you’re like me, you would be curious to discover what sets Lakadong raw turmeric apart from other raw turmeric. I set out on a journey of research to discover the answer. I listened to stories. I had a vested and personal interest in this story because my grandparents always kept a few pieces of this potent plant in their pocket or purse. Our people of Meghalaya always knew the secret benefits of our local ‘Best in the World Turmeric’. Read what I’ve captured so far. Jaintia Hills of Meghalaya falls under the Sub-Tropical Hill and Agro-Climatic Zone of the Eastern Himalayan Division. It encompasses the warm, per-humid agro-ecological sub-region of the North Eastern Hills across coordinates of 25°02′ to 25°45’N and 9158′ to 92°50’E and altitudes from 76m to 1627m. Overall, the Jaintia Hills’ climate is pleasant throughout the year, being neither too warm nor too cold. The Southwest Monsoon drenches the region from June to September with an average rainfall of 2387mm and 89 rainy days. The Northeast Monsoon then sets in during October to December with an average rainfall of 112mm and 13 rainy days. Springtime (April to May) also receives an average of 284mm of rainfall and 30 rainy days. Winters (January to March) get about 129mm of showers with no rainy days. Soil fertility is, however, low with poor organic matters and nutrients. 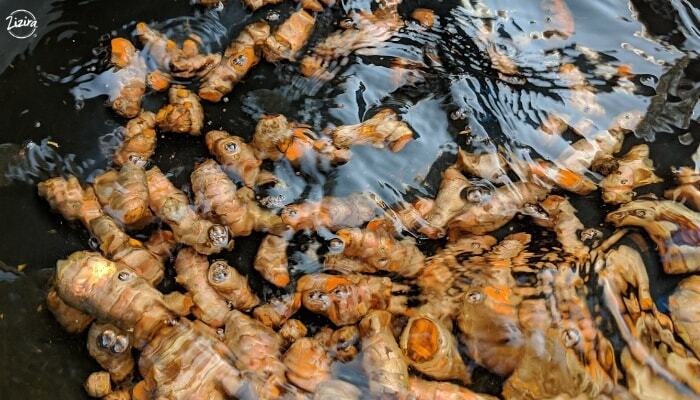 Water is key to the world’s best turmeric. The region has no over-exploited, semi-critical or critical groundwater availability issues. This element alone makes it an ideal place for farming activities. As a whole the district does not face too many major contingencies. In the last 6-10 years no regular contingencies were reported. Drought and hailstorm occur occasionally. Pests and diseases are however regular contingencies. Turmeric is often attacked by Taphrina or stem borer. Leaf blotch is a recurring disease that affects productivity. 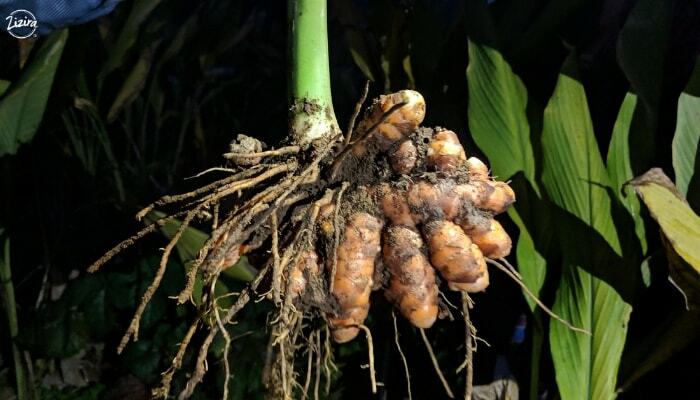 Lakadong turmeric (Curcuma longa) got its name from Lakadong village. Laskein village is one of the many villages in the Laskein Block that cultivate the best in the world plant. Its unique feature is the native and organic nature of the rhizome, untouched by any modification or cross-breeding. 2015 had an important milestone in the Meghalaya State Department of Agriculture. The much talked about perennial herbaceous Lakadong Turmeric received the coveted GI or Geographical Indication Tag from the awarding body. Grown only in the Meghalaya’s East Jaintia Hills District, it is the world’s only turmeric with a high curcumin content of 7.9%. Other samples are way below – some lower by more than 2%. This makes Lakadong the best in the world. 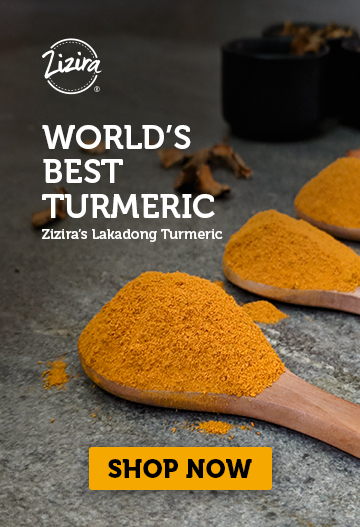 Read more about what goes behind Zizira world’s best turmeric. The farmers however used only age-old, traditional methods. Productivity gets curtailed by inadequate post-harvest management processes. Lack of seeds further compound farmers’ woes, together with bad market facilities. Although big companies like ITC have started sourcing from the region they deal only through middlemen, who rake in profits. Turmeric is one of the major horticultural crops in Meghalaya but its production was a mere 7381 metric tons in 2012-2013. The yield per ha was 5872 kgs. This is per report of the Directorate of horticulture. The demand is huge – 8, 00,000 metric tons. But of all spices produced in India only 6% is turmeric. Of that 92% is consumed internally. Industries that have high demand are pharmaceuticals, cosmetics, and food. Turmeric also yields natural, organic dyes. Meanwhile, an interesting scenario unfolded in Meghalaya in April 2018. At long last, the government set its sights on producing 50,000 MT of the spice by the year 2023, a clear 34000 MT more than the present output. This is Mission Lakadong 2018-2023 launched by the Governor himself. The aim is to provide the much-needed framework for structured assistance –technical, financial and commercial – for cultivation of the world’s finest turmeric that should now become a reality. The North Eastern Hill University is also being engaged for research. Lakadong turmeric farmers can now expect the much-desired boost to enhance their output and prosper sustainably. The GI tag award should be sweet news for them. This is the patent for their unique produce – high curcumin turmeric that the world has now come to know. It should place Meghalaya in the list of important turmeric producing states like West Bengal, Andhra Pradesh, and Tamil Nadu. Jaintia Hills (now two districts, East and West), occupies a geographical area of 381900 hectares (ha) and has a total cultivable area of 194600 ha. Another 113700 ha of cultivable wasteland is available. The districts’ net sown area is only 36.1 ha with only 0.4% area sown more than once. This makes the cropped area only 36.5%. So the potential for more cropping is vast. The 390 square km Laskein Community & Rural Development (C&RD) Block sits on the central plateau region of West Jaintia Hills. This region has characteristic rolling low hills and hillocks. The topography is plateau-like, with elevations varying from 600 to 1200m. National Highway 44 runs from north to south through the moderately to strongly sloping hill terrain of the Block. The limestone-rich region’s soil makeup is a red sandy, excessively drained coarse loam. Rainfall turns heavy (4000-8000 mm) during the monsoon months of June to September. At critical stages such as cases of low rainfall, long dry spell or drought the crops are irrigated with water harvested in structures constructed for the purpose. Before sowing the soil is prepared to fine tilth. Organic farmyard manure is the preferred fertilizer and the method of planting is ridge and furrow. April-May is the sowing season when light spring rain occurs. Farmers apply mulch with previous crop residues after planting. During intervening periods crop care remains meticulous and thorough. At vegetative stage 20 days after sowing, farmers do a complete hoeing and weeding. They reapply manure, including foliar application of nutrients, earth up and mulch. Incidentally, the Laskein belt is rich in coal. Before the ban of coal mining by the National Green Tribunal, many inhabitants enriched themselves with coal wealth. The ban came as a blessing in disguise as many have now returned to turmeric cultivation. During the launch of Mission Lakadong 2018-2023 the Agriculture Department’s Commissioner and Secretary made an important announcement. A government farm in Laskein Block is now a Horti-Hub meant for the exclusive development of the ‘Golden Spice’. This farm will provide farmers with every necessary resource and expertise. Seems like the future is bright for the golden spice. To know more about regenerative products made from the plant power of the best turmeric follow us at Zizira. We are committed to providing the best natural treasures from Meghalaya. Products for your health and well-being. OH, be sure to subscribe to our newsletter.